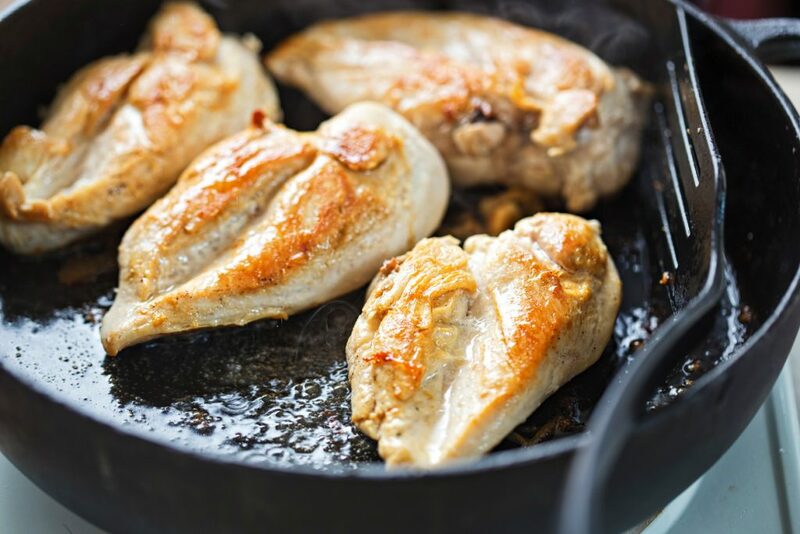 Chicken meat is something that’s simple to cook and so versatile that you can actually have it every week, multiple times, without repeating your recipes very often. But how do you cook in order to keep your chicken moist? Here are some nice tips for you! Chicken can be great when it’s moist and juicy, but it can also be dry and so bland that you don’t want anything to do with it. That’s why it’s important you keep your chicken moist during whatever cooking you’re doing. The tips and tricks that follow will help with that. There are no drawbacks to this method to keep your chicken moist. It involves cooking the chicken – whole or cut – in milk infused with lemon. The dairy then becomes a sauce you can serve with your dish easily. And that same milk is one that lends your chicken plenty of moisture, no matter what cut you have. So how do you do it? First brown the chicken in the pot, in some sort of fat, like butter. Then add some milk, some lemon juice, and some garlic – and also other spices and herbs you want to experiment with. Then bake for about an hour and a half. You can also use dairy replacements like coconut milk. 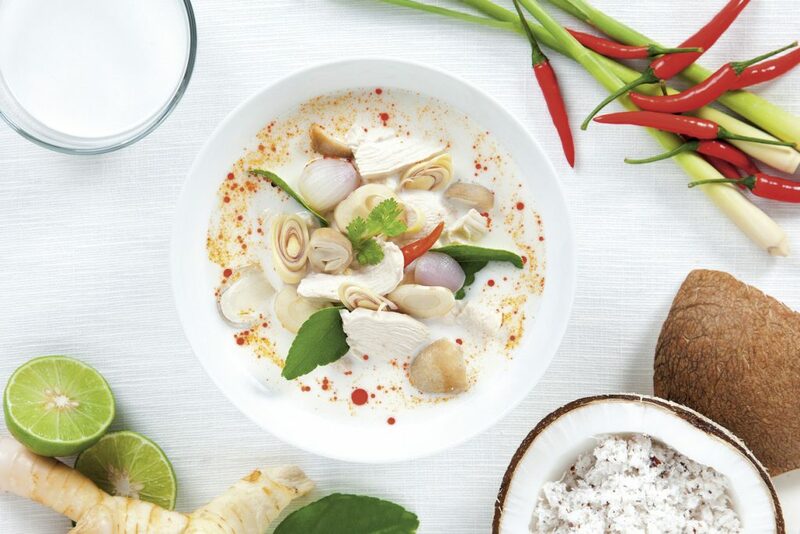 You can cook your chicken in coconut milk, and that will help it remain moist. What you need when cooking chicken breasts is to keep the moisture in them while cooking in the oven. And you can do that pretty simply if you cover them with parchment paper before you pop them in. So how exactly do you do it? First prepare the meat by roasting, grilling or browning it in a pan. Then add it to a baking dish, season the meat and add some fat to it as well. Then take a piece of parchment paper and rub butter over one side. Stick the buttered side to the chicken and then cook for at least half an hour – it depends on how large and thick the chicken breasts are. You can also try cooking the chicken breast stove-top style, but the idea is first to brown it a little, then steam it. That is how you poach anything. It will heat the chicken breast quickly, and then lets it poach in its own juice. The key here is to cover the pan with a lid and then let the magic happen for about 10 minutes. First, brown the chicken in the pan, then cover it with a lid and steam the meat. Checking the temperature is a great and safe method to find out if your chicken is good to eat. And mostly, the chicken will be dry and unappetizing when it moves past the point of well-done into way too overdone. So you can use this to figure out the optimum time of removing the chicken from the heat, without overcooking it. Just measure the temperature with a thermometer. It should be about 165 degrees F (75 degrees C) in the thickest part of the chicken breast. Or whatever cut you’re using. If you cook it past this point, you might get to ‘dry as a day in the desert’ chicken! If none of the above works, then maybe you just don’t like chicken breast? It is a definite possibility! So how about you let go of the breast (sorry, pun not intended), and go for the chicken thigh. It’s a cut of meat that almost always cooks to perfection. And it tends to end up tender and moist all the time. I love its texture, and I also love it boneless or not. However you pick it, marinate it, cook it, it will work! So good luck with the thigh!